Please do not tap on glass. 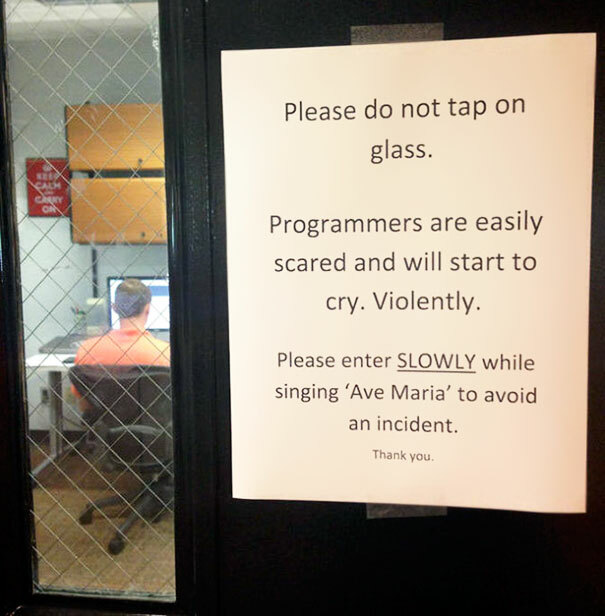 Programmers are easily scared and will start to cry. Violently. Previous Previous post: Which will fill first?